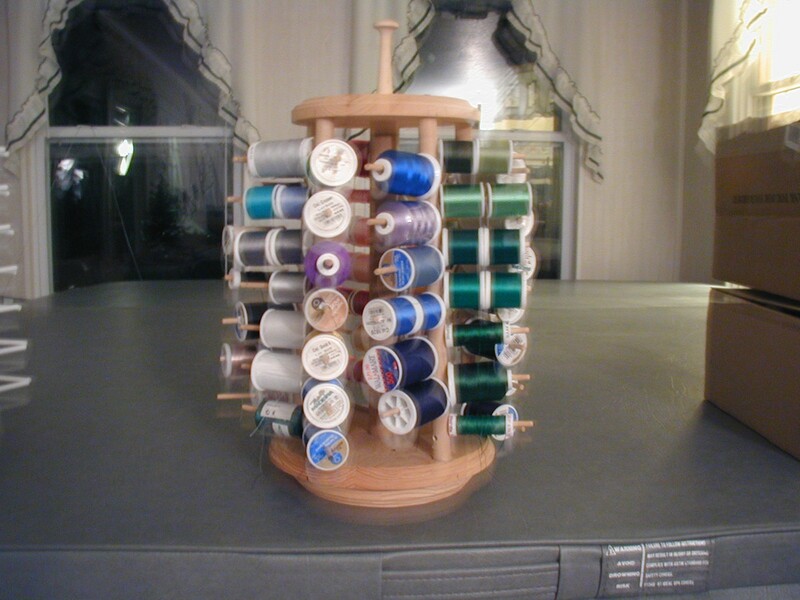 My wife owns hundreds of spools of thread. She got tired of keeping the thread in drawers and asked if I could make her something to hold the threads on. I did. She has four of these now, loaded with thread and within easy reach for her sewing and embroidery. Some friends saw them and asked if I could make one for them as well, and the Glorious Design Thread Spinner was created. These thread spinners use a lazy susan base and turn in full circle. Each arm can hold up to 15 spools of thread. You can buy them either spray painted white or still in the natural wood color. Either is $49.95 shipping. They weigh in at 3 Lbs and shipping is $20.00.